How I heard of this place: When we checked in to our hotel, I asked the young lady assisting us about food in the area, and her recommendations. 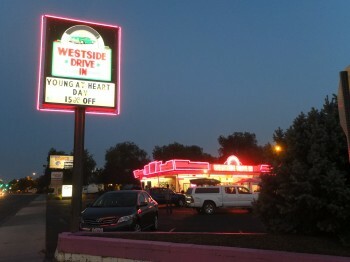 She was all too happy to make a number of suggestions, including the original Westside Drive-In on State Street…and its Idaho Ice Cream Potato. 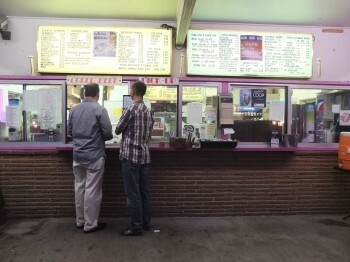 Type of cuisine: After dinner with my husband and one of his colleagues, we made our way nearly one mile to the northwest, and the stand-alone establishment that has been entertaining and feeding customers since 1957! 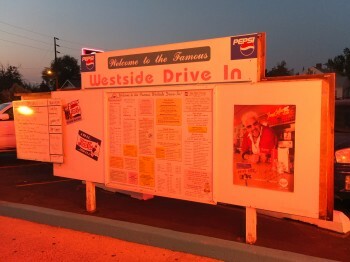 Burgers, hot dogs, sandwiches, fries and finger foods, not to mention shakes and malts and all things 50s, Westside Drive-In sure knows how to keep ’em coming back for more. 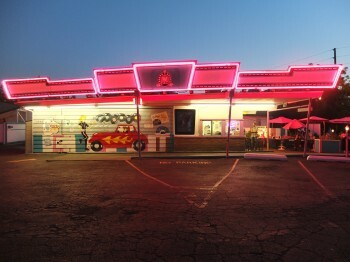 Ambiance: Bright pink, neon lights line the edges of the single-story, stand-alone building in the midst of a seemingly residential neighborhood. 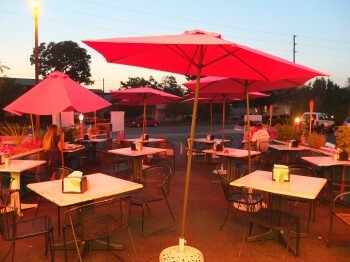 A mural of a waitress on roller skates bringing food to a leather-clad man sitting in Grease Lightening adorns the front, the red umbrella-lined patio to the back. or drive-thru options exist for patrons of all tastes. 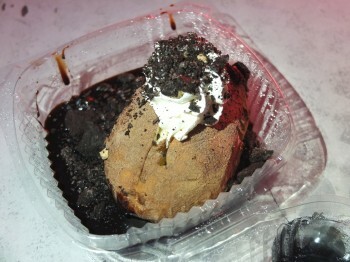 What I ordered: The Idaho Ice Cream Potato. What I loved: The novelty. The creativity. The detail in the assembly-line, handmade potato. 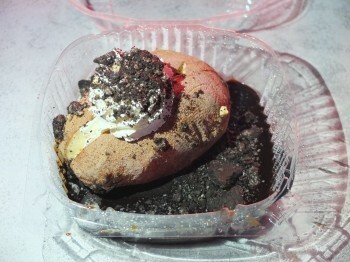 Why I loved it: It’s ice cream…in the shape of a potato!